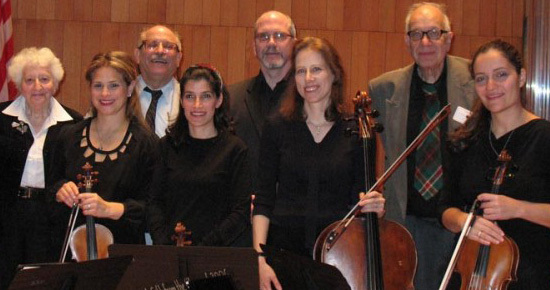 This concert, featuring Jewish composers, is presented by The Long Island Composers Alliance (LICA) and The Russian American Cultural Heritage Center (RACH-C). This concert is in conjunction with the American Library Association’s traveling exhibit “A Fine Romance,” which focuses on the contributions of Jewish composers to Broadway’s music from Irving Berlin to Leonard Bernstein. The concert also celebrates the first Russian American History Month . Soprano Helene Williams, contralto Nicole Mitchell, Cantor Albert Barouch: composer/pianist/ cabarettist Leonard Lehrman; Metropolitan Opera baritone Roger Andrews; violinist Marilyn Reynolds; and composer/pianists Joel Mandelbaum and Herbert Rothgarber. The concert will open with Herbert A. Deutsch performing on synthesizer, in his Electronic Collage on Jewish themes, specially composed for this occasion. The concert is made possible in part with public funds from the NY State Council on the Arts and in Nassau Suffolk Counties in partnership with the Huntington Arts Council, and is co-sponsored by the Maldeb Foundation, the Prof. Edgar H. Lehrman Memorial Foundation, Long Island University, and RACH-C. It is free and open to the public: Sunday, April 1, 2012 at 3:00 PM, at Hillwood Lecture Hall on the Long Island University Post Campus at Brookville. For further information please call 516-299-2895 or 516-825-2939. This entry was posted on March 6, 2012 by admin in 2012.